Becoming a Paramedic is one of the best door opening career choices a person can make. Being a Paramedic is required for many higher tier Emergency Medicine careers. These career can include but are not limited to, Firefighter, Physician Assistant, Registered Nurse, Flight Medic, and many other medical career choices. Another interesting job choice a Paramedic can undertake is being a deploy medic. Deploy medics are contracted by overseas industries because an American trained Paramedic is a valued skill set in overseas countries. There are requirements to becoming a paramedic that are unique to this job field. A person can not just fill out a job application or submit a resume. Paramedics require about 2 years of training. The core program itself typically will last 12 to 16 months however there are prerequisites that a candidate has to fulfill before they can begin their paramedic training. There are also costs associated with this training that are unique to the health field such as a criminal background check and submission of immunization records. This article will attempt to explain in detail the process of Paramedic training. It will include the requirements to enter class, the training in class, what to expect on a clinical, and a description of the NREMT Paramedic exam which most states in the United States use as the qualifying exam that allows a aspiring Paramedic to gain licensure. Here are some of the basic requirements to beginning your EMT Paramedic training course. 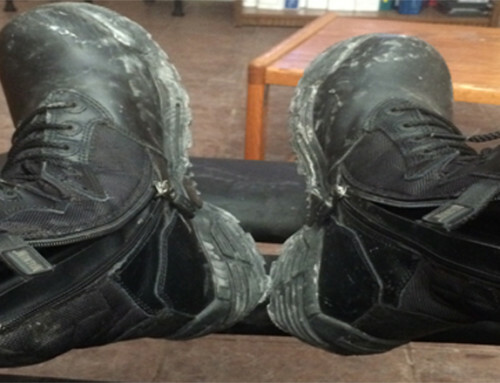 There are hidden costs associated with participating in a paramedic class. Some employers, if you are already employed as an EMT, will reimburse the costs of these requirements, while others will not. Many EMS employers will pay for a EMT Basics to go to Paramedic school. So if you are already employed as a Basic, check with your employer. Paramedic students must have already completed an EMT Basic class. Whether a prospective Paramedic has to be a working Basic or just has to have a certificate stating that they successfully completed a course is state dependant. A list of state requirements can be found on our homepage at https://emttrainingstation.com. This is the reason why it typically takes 2 years to complete an EMT Paramedic training course. 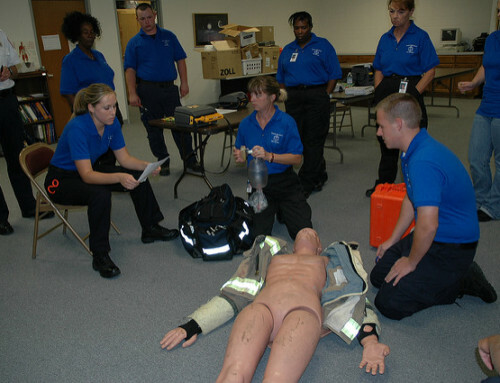 The EMT-B, or EMT Basic, class typically lasts 16 weeks or about 4 months. There are accelerated academy based programs that are faster, however the typical class length is 4 months to be trained as a Basic EMT. After the 4 months it will typically take a few months to get licensed as a basic. For instance I finished my EMT Basic class in October of 2005 and was not able to take my NREMT exam will december. I did not gain employment at an Ambulance agency till february of 2006. So plan on about 8 months of EMT basic training, based on my experience, unless you you opt for an academy option. Check with local EMS companies. Some of them may pay for you to take the course in exchange for a contract where you promise to work for them for a set number of time, usually 2 years. This will give you a guaranteed job after you complete your class. Some companies may even hire you and pay you while you go to class. My company, when they are short EMT Basics, will send students through the class and pay them an hourly wage to 3rd ride on ambulances as observers to get them used to working the road while they go to class. A criminal background check is a universal requirement in both EMT Training and Paramedic Training. The reason for this is common sense. 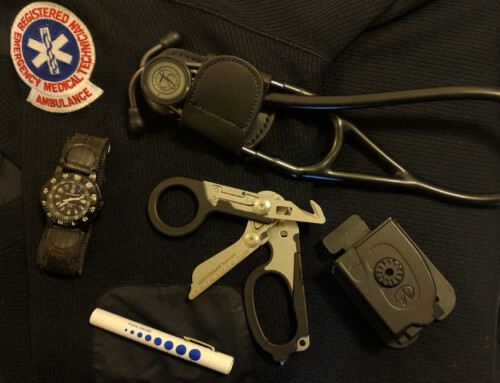 An EMT/Paramedic is an emergency responder that frequently enters people’s homes, will encounter unconscious patients, and be involved in rather intimate situations in regards to patient care. This is a field where having a felony conviction can diminish the chances of being hired, let alone being admitted to an EMT class. Typically the class or institute will provide the type of background check that a student has to submit to. Be prepared to pay any fees associated with running this check. The fees can range from 50 to 100 typically. A paramedic student will have to submit to a drug screening. This is usually for clinical sites. Many clinical sites expect student to abide by the same hiring requirements as their employees. A busy hospital ER that teaches Paramedic students as well as students from other health career field will expect student to be drug free. If a Paramedic student is already employed as an EMT basic, you should be able to get this done for free. Ask your employer for your most recent drug screening results and if you need to pee in a cup, they will send you for a screening that they will pay for. Being a Paramedic, as with any healthcare worker, will expose a person to a wide range of diseases. Therefore it is mandatory that a Paramedic student submits proof of immunizations. The immunizations required are: MMR, Hep-B, Flu Shot. Usually a prospective Paramedic should be able to obtain copies of their records from their doctor or the health department. If they are unable to locate records you can have your TITERS drawn at your doctor’s office or an urgent care. Caution: Most insurances will not cover this if the student goes to an urgent care and this can cost a couple 100 dollars. So if a student has a primary care physician and needs to have their immunizations drawn then schedule an appointment. Selecting a training site for Paramedic training is important. And this choice should be determined by the plans and needs of the student. EMT Training Station.com has a post on this subject here. The section of the article will summarize the original post. It is encouraged that students read the full post linked here. Each program opportunity has its own pros and cons. SOme states may require a student to attend a college program while other states make trade schools and option for Paramedic training. If a company pays for Paramedic training, it will usually involve sending students to a trade school. Trade schools are excellent choices if a student needs quick training, they plan on going into a field were the only requirement is being a licensed Paramedic such as being a Firefighter or simply moving up in an EMS agency that the EMT is already employed at. College programs are perfect for students that are not pressed for time in upgrading their license and plan on using Paramedicine as stepping stone to a higher medical career such as Nursing, Physician Assistant, or even Doctor. The college prerequisites tend to transfer to the requirements that those higher level programs mandate. The eventual choice is up to the student. If I had to do it over again i would have taken my classes at a college. I am currently looking at going tp physician assistant school and I will have to take a semester or two of class prerequisites that I would have already taken if I would have taken EMT and Paramedic at a college level. Attending college EMT classes opens many more doors for individuals looking for a health career path. Even if a student is not looking at doing anything beyond Paramedic in the near future, goals change all the time and they could find themselves regretting not going to college because they will find themselves, like me, having to take classes they should have already taken so they can advance their medical careers. Preparing to attend Paramedic School is very similar to preparing to go to college. Students will need the usual school supplies such as: Pens, Notepads, Calculators (though most phones work for this. ), and a backpack. Digital voice recorders are also very handy to record lectures. However, be sure to ask if recording is permitted before doing so. Some instructors do not permit recording devices in class. In the modern classroom a laptop is almost a must. It does not have to be anything expensive and even tablet computers will work. The reason for this is that many Paramedic programs use a testing site and even have their tests given to them online by testing companies such as https://emstesting.com/. Having a laptop or tablet will give students access to these testing materials on the go. Laptops and tablets are also not that expensive. 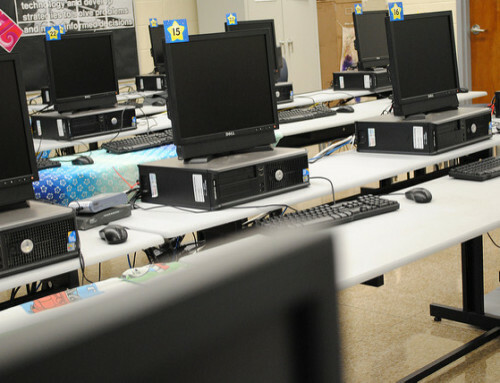 A student does not need to purchase anything but a basic laptop or tablet for class. If it can show videos then it is powerful enough for any Paramedic class. Paramedic students will need to learn drugs for use in the prehospital setting. It is a lot of information to take in. Paramedic students will be required to learn about 33 different drugs, what they do, what their dosages are, when to use them, when not to use them, etc. Instructors will provide a list of drugs to learn (as will this article later) and encourage student to make Drug Flash Cards. You can either purchase cards from Amazon or make your own on note cards. Ether way having accurate drug cards is essential to the success of a Paramedic student. The earlier the student begins to learn the drugs the better off they will be when it comes times to learn the application of those drugs throughout the class. The first half of Paramedic school will be a rehash of tops that the student learned in EMT school. However, the topics are expanded upon and looked at from a paramedic point of view. Paramedics have more care options than the EMT does. For example an EMT can give oxygen to a patient that is short of breath, while a Paramedic can start an IV, give Albuterol and Atrovent and even administer a steroid called Methylprednisolone. 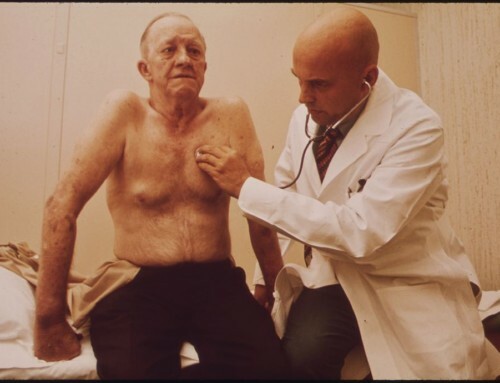 Another example is chest pain calls. An EMT can assist the patient with Nitro that the patient already has prescribed to them. They then give them O2 and High Flow Diesel. The Paramedic can start an IV, monitor the heart via a monitor, run a 12 lead EKG and see if the patient is having a heart attack. The treatment options are vastly expanded. Paramedics can deliver a variety of medications from antidysrhythmics that correct potentially lethal heart rhythms to medications that correct too fast and too slow heart rates (tachycardia and bradycardia). They can even use the cardiac monitor to externally pace the heart if need be. Paramedic students will go over Anatomy and Physiology in depth. They will gain an intimate understanding of how the body works and the anatomical structures that allow those body functions to happen. The A&P that a paramedic will learn will seem to be a review of what they learned in EMT school. However, the explanation is given in more detail and down to the cellular level. Students will learn about cellular respiration, sodium potassium pumps, and other advanced functions of the body that are important to understand so that the future paramedic will know how their treatments are affecting the patient. The medical world has its own language. Paramedics are important citizens of the medical world and as such they need to learn the spoken language of Mediclandia. Many terms that doctors use are based upon the original latin derivatives. Terms such as myocardium for example. Myo meaning muscle, cardium meaning heart. Myocardium = heart muscle or muscle of the heart. Paramedic students will take an extensive medical terminology class. It is important to become proficient in medical terminology not only to pass the class and understand medical language, but it is also important in communicating with medical professionals. Paramedics will routinely be talking to physicians and it is much more professional to tell a doctor that a patient has a 8cm laceration on the dorsal aspect of calf distal to the knee vs telling the doctor that the patient has a medium cut on the back of the leg below the knee. Des Moines University has an excellent resource for students looking to get a jump start on learning medical terminology. It is indepth and free: https://www.dmu.edu/medterms/. Paramedic students will learn about the chemical building blocks that make life possible. Students will learn about the effects and importance of chemical compounds on the body. For instance, a paramedic student will learn about the role of sodium as it applies to muscles and calcium as it applies to the heart. Obtaining a basic grasp of the body’s biochemistry is essential to understanding how and why drugs work on the various systems of the body. Patient treatment begins with recognising that everything wrong with a person begins on the cellular level. The Paramedic student will learn about cellular biology. It is essential that Paramedics learn this, as the cells are the building blocks of the body’s various systems every action that a medication take is on the cells that make up the body. Certain medications bind to certain cells and the paramedic will learn in depth about the cellular anatomy and how medications enter cells using receptor sites. Groups of cells make tissues, and groups of tissues form organs. Groups of organs form body systems. Paramedics will become well versed in the form and function of every organ system in the body. Students will learn the nuts and bolts of: The Skeletal System, Integumentary System, Nervous System, Endocrine, Cardiovascular System, Respiratory System, Lymphatic System, Gastrointestinal System, Urinary and lastly the Reproductive System. Different body systems have different effects on the body and different ways they can become sick or injured. It is important for the student in Paramedic school to learn these body systems so that they can render proper care to patients. This may seem like an overwhelming amount of information to learn, however, by the time students are finished with the class the information will constitute a full understanding of Anatomy and Physiology. As the student goes over the treatments for different conditions involving these systems the A&P will be reviewed built upon. A vast majority of the Paramedic class will focus on Cardiology. Cardiology is the bread and butter of the Paramedic. Paramedics are trained to identify, treat, and manage a variety of cardiac problems. The Paramedic will learn to identify cardiac rhythms and administer treatment including IV drugs to correct potentially lethal dysrhythmias. Cardiology will also cover ACLS protocols, or what to do during an episode of cardiac arrest. Paramedic student will learn the function of medications on the body. They will learn how to administer IV medications. How to count drips and ensure that the patient is getting the correct volume of medication. They will learn med math equations and how to calculate dosages of medications. Most importantly they will be responsible for learning a list of medications that will be carried on an advanced life support ambulance unit. Used for bronchodilation and relieving the symptoms of difficulty breathing such as COPD or asthma. Used for Ventricular Fibrillation, SVT, Vtac, and A-Fib. Used for chest pain or symptoms of cardiac ischemia. Used for Bradycardia and Organophosphate poisoning. Used for suspected or known hypoglycemia, AMS, coma or seizure that maybe be diabetic related. Used for prolonged seizures, sedation prior to electrical therapies like synchronised cardioversion. Used for allergic reactions, early anaphylaxis. Used for hypotension in the absence of hypovolemia. For instance hypotension from cardiogenic shock, bradyarrhythmia, septic shock. Used for Cardiac Arrest, Ventricular Fibrillation, Pulseless Electrical Activity. Used for anaphylaxis. Used for Relief of moderate to severe pain. Used for Pulmonary edema secondary to CHF. Used for relief of moderate to severe pain. Chest pain of a suspected cardiac origin. Used for nausea, typically given with morphine. Used for prevention of Hypoxia. Used in chest pain. Depressed LOC. Used for metabolic acidosis, suspected hyperkalemia, prolonged cardiac arrest. Used for hypotension, asystole, V Fib, V Tach. There are other medications that a Paramedic will need to familiarize themselves with. However, the above list will give prospective Paramedic students an idea of the type of medications they will be dealing with. Knowledge of these medication is essential to not only completing Paramedic training but also helping the patients that they are training to aid. The quicker a Paramedic student begins to learn these medications the better they will do in class. It is recommended that Students either make drug cards as soon as possible or purchase some like the ones below. Mosby’s is a trusted name in education and these cards provide an in depth study material that can easily be tossed in a book bag. They are categorized and easy to understand. One of the most recommended drug cards among Students that have passed their Paramedic course. Trauma emergency management differs between an EMT Basic and a Paramedic. The basics will remain the same. Assess and manage Airway, Breathing, and Circulation, treat the complaint then transport. However the Paramedic will have additional options. Mainly the Paramedic will be able to establish an IV and begin giving fluids. They will also be able to administer pain medications. Paramedic students will learn advanced trauma management skills beyond the scope of the EMT Basic. The Paramedic student might see this as a review of topics they learned in EMT class, and it should be important to remember that there are actions a medic can take that a EMT can not. Paramedic students will need to not be lulled into a false sense of security in thinking that they know how to manage traumatic injury. Medical emergencies are where the EMT Paramedic will shine. Given the advanced knowledge of Anatomy and Physiology that they learn, Paramedics are perfectly positioned to render advanced prehospital care that can dramatically increase the recovery of patients. During Paramedic class the student will be taught how to handle a variety of emergencies from hypoglycemia (low blood sugar), to heart attacks, and even how to handle sepsis patients. During this part of the class the Paramedic student needs to start thinking outside of the box. Some illnesses will present exactly like others. Female patients have different signs and symptoms than males. For instance a female patient having a heart attack can present with nausea and vomiting. It could be easy to respond to a call for nausea thinking a patient has the flu when she could really be having an MI. In that case the treatment plans become very different. Paramedic students should expect their instructors to challenge them during this part of the class. As with EMT school, Paramedic school will require students to complete a certain number of clinical rotations. These will be much more in number that EMT Basic. Another difference with Paramedic clinicals is that students will have to have a certain number of skills checked off. They will have to successfully start a certain number of IV’s, have to successfully intubate a select number of patients, read and interpret a set increment of EKGs. This number will depend on the program that the Paramedic student is attending. However, it will at least be the number of skills required by the national standard. There are other skills that are not listed here, however those skills are program dependant. Some programs will want a certain number of geriatric assessments, a certain number of pediatric assessments, and a certain number of adult assessments for instance. Paramedic students will have to complete a certain number of Hospital clinical rotation hours. Typically the clinical sites will be in busy ER sites where the student will get ample practice starting IV’s, doing 12 lead EKG’s and will have ample opportunity to perform some of the other required Paramedic skills. Students may be scheduled for OB rotations to gain experience in obstetrics and female healthcare issues like child deliver. They may also be scheduled for OR rotations to get their ET intubations completed. There will probably be a rotation scheduled at a Children’s Hospital so that the Paramedic student will practice pediatric assessment and patient management. Paramedic students will also have to complete Ambulance based clinical rotations. These will be complete with a Paramedic crewed ambulance. Students will spend their time on ambulances working as a paramedic works. They will be exposed to all the same job stressors and be expected to perform Paramedic level care under the watchful eyes of their proctors. Paramedic students on these clinicals will be rendering prehospital care to patients in emergent situations. Expect the Paramedics to test the student’s knowledge and ask them questions about what they learned in class. Paramedics are eager teachers and students should take advantage of the knowledge of road personnel. The National Registry of Emergency Medical Technicians is a testing body that administers the qualification exam for a majority of the states. Some states do not recognise the registry and, instead, opt to give student their own licensing exam. The EMT Paramedic NREMT Exam will focus on general knowledge questions in regards to being a Paramedic and performing the job as a prehospital care provider. The exam is a computer adaptive test or CAT. This test will ask a series of questions that start at a set difficulty. As the student either answers the question correctly or incorrectly the difficulty of the test will change. The minimum amount of questions that will be asked is around 75. The maximum amount of questions will be around 150. The questions asked will be broken down into categories. There will be a general medical category, as respiratory category, a large amount of cardiac questions, a trauma category and a peds and OB category. The test will evaluate the patient’s affinity in each of these categories. It should be noted that it is typical for a student to not pass the NREMT exam on the first time. It is recommended that students not only follow their instructors advice but also take practice tests to be prepared for the exam. The NREMT Paramedic level psychomotor exam is a practical skill examination that is designed to ensure that the prospective EMT Paramedic is competent with the live saving skills of the Paramedic profession. The exam will have stations ranging from an airway station to a dynamic cardiology station. Paramedic students are encouraged to review the required skill sheets for the paramedic practical exam. These sheets can be found on the NREMT website at: https://www.nremt.org/nremt/About/psychomotor_exam_advanced.asp. Should a student fail a station they are allowed to repeat that station at the end of the test day. If they fail 3 or more they will have to retake the practical exam in its entirety at a different date. The Paramedic practical skills exam will cost a student 110 dollars per attempt so it is important to attempt to pass the exam the first time through. These states have their own testing processes for Paramedics and EMTs. The above list also has the contact information for each state. Students are encouraged to contact the EMS offices of these states to find out the requirements for Paramedic training in their state. If this article was helpful to you please feel free to share it. The purpose of this site is to provide accurate and detailed information on the Paramedic and EMT training process and to answer questions I wish I knew when I was starting out in EMS.